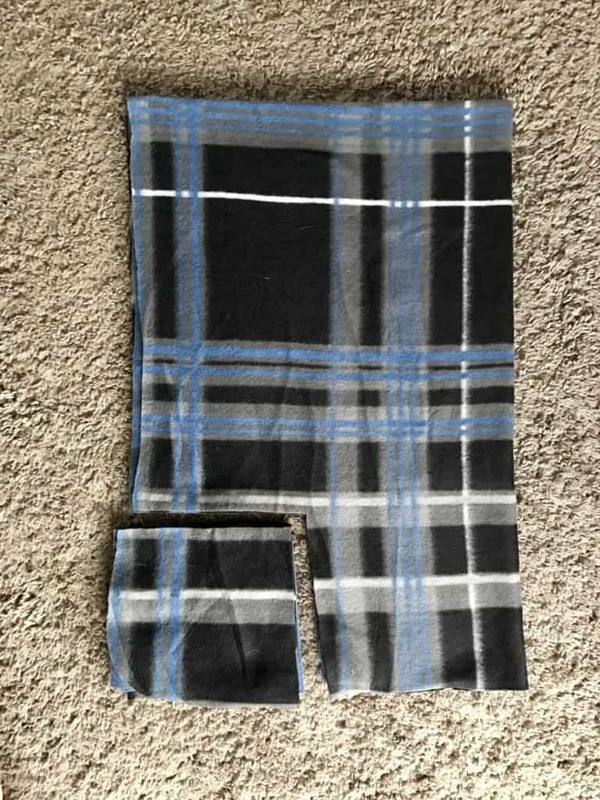 During the winter I put cozy fleece sheets on our bed, which made me think about adding a layer of warmth to the baby crib as well. 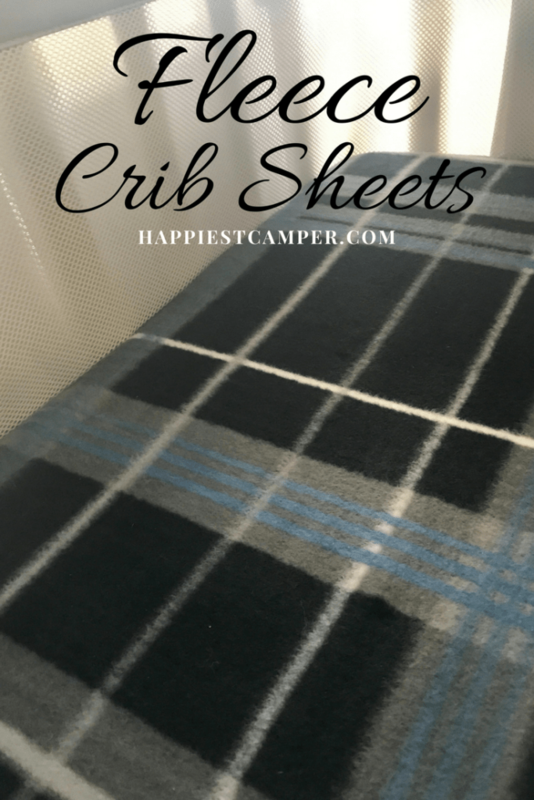 An internet search didn’t turn up any ready-made fleece crib sheets, so I made my own – and I did it for under $3.00! 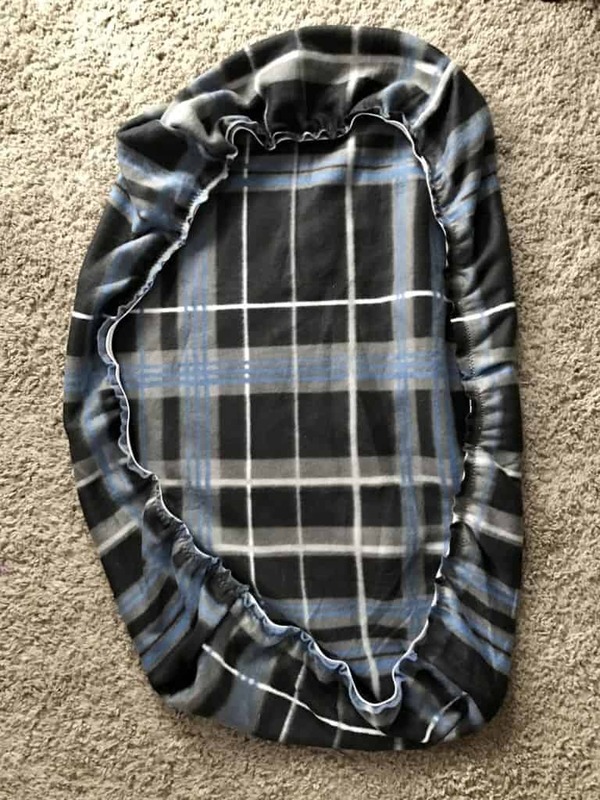 If you know the sewing basics, you can make fleece crib sheets. 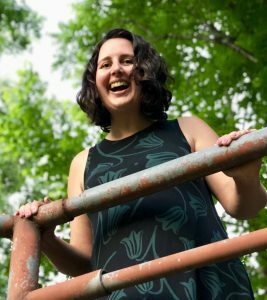 This is an easy project that any beginner with access to a sewing machine can tackle in less than an hour. Fleece Fabric – I picked up the fleece throw blanket pictured for $2.50 at Walmart. 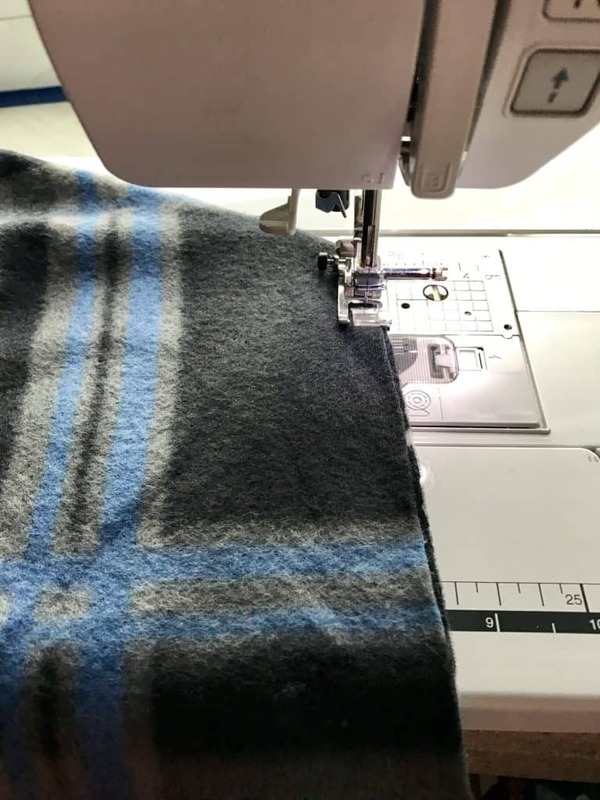 If you want to use fleece from the bolt or another type of fabric, you’ll need about 1.5 yards. Flannels and knits work well too. First cut the fabric to size. For a standard sized crib, use measurements 69″ x 44″. 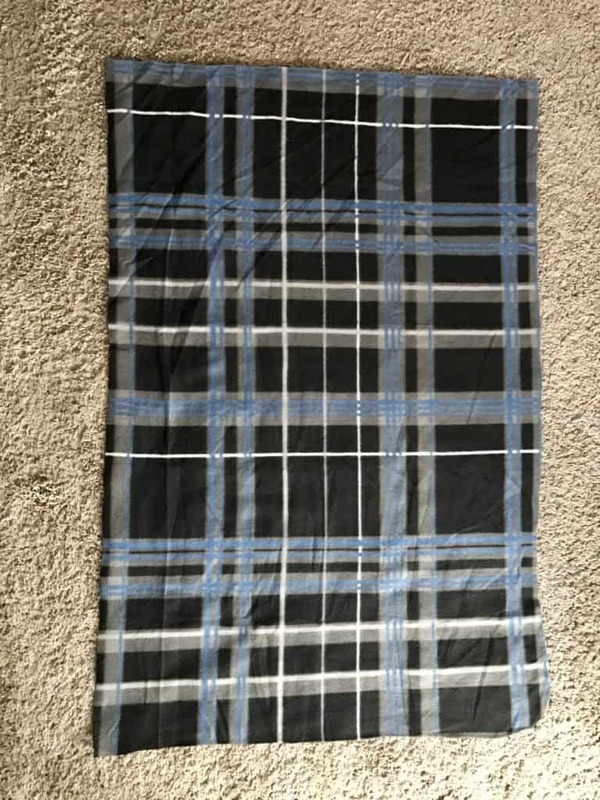 For a mini crib (like the one in our RV) cut the fleece 51″ x 37″. 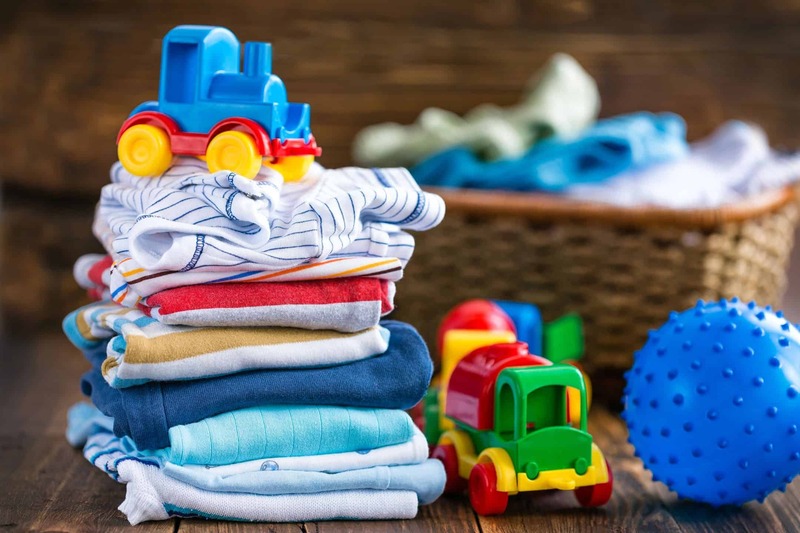 If your crib is a different size, measure the length and width and add 7″ to each. You can include any edging, selvedge or hem. 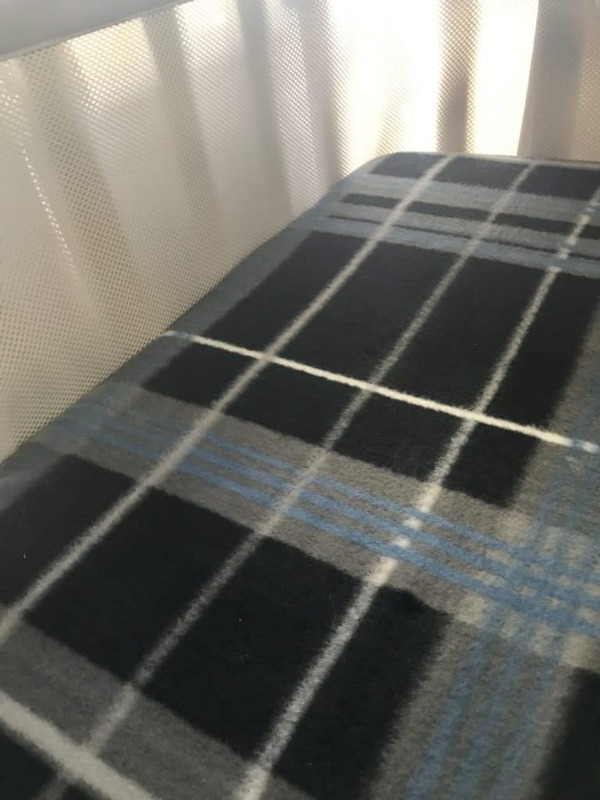 The edges won’t be seen when the fleece sheet is wrapped around a crib mattress. 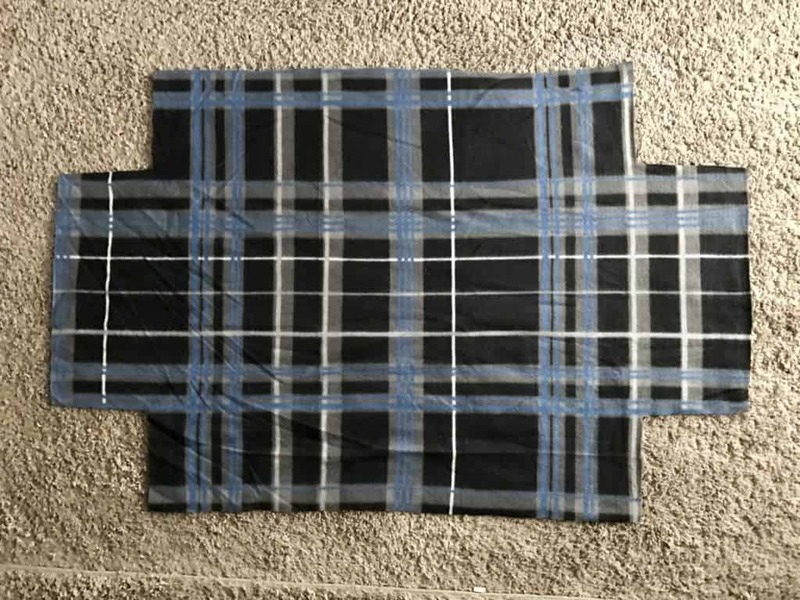 Fold the fleece into quarters and cut a 7″ x 7″ square from the corner where all the layers of raw edges meet. Use these measurements regardless of what size crib sheet you are making. Open it up, and your fleece should look like this. Next grab the two interior edges closest to each other where the 7″ x 7″ square was cut out. Put right sides together (if your fabric has a right side) and sew down the edge. I like to use a zigzag stitch because it tends to hold better than a straight stitch. Repeat this step for all four corners. A crib sheet gets tugged on quite a bit, so make sure each seam is secured before continuing. Sometimes I sew over the edge twice to be certain. It should look like a floppy box without a lid at this point. That’s my technical term. Now it’s time to add the elastic. Place the elastic on top of an outside edge on the wrong side of the fabric. It doesn’t matter which edge you start on, but you MUST USE A ZIGZAG STITCH. Capital letters means it’s important. 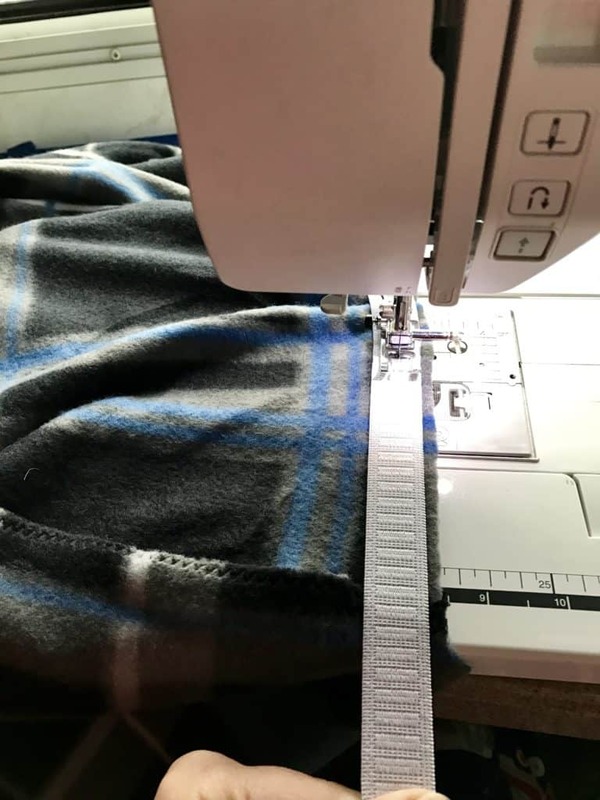 Make a few stitches to hold the elastic in place, then pull the elastic toward you while continuing to sew WITH A ZIGZAG STITCH around the perimeter of the crib sheet. This pulling action in combination with the zigzag stitch is what allows the fabric to stretch. We want a tight fit to make sure baby is safe in his or her crib. And now you have a fleece crib sheet! It looks a bit like a giant shower cap. 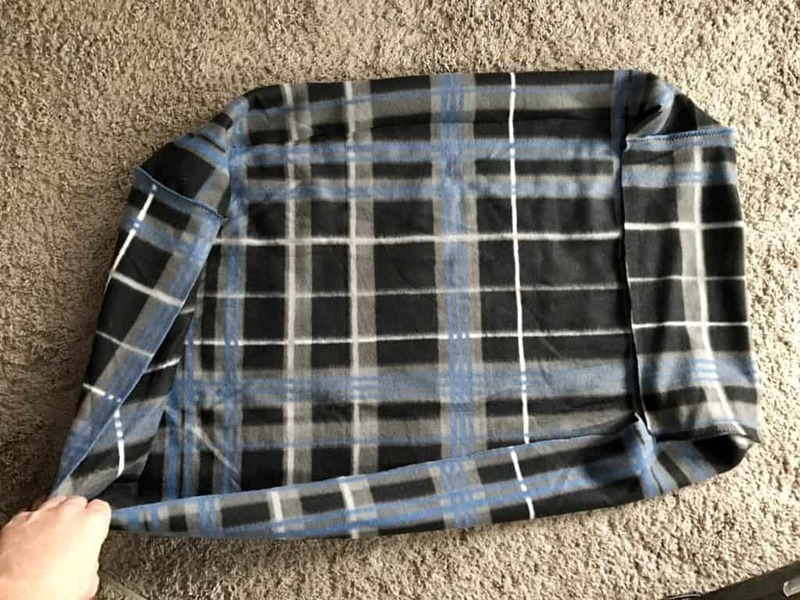 Fleece, flannel and knit are easy to work with because they don’t fray. If you are using a cotton material, you may want to hem the edges before adding elastic. 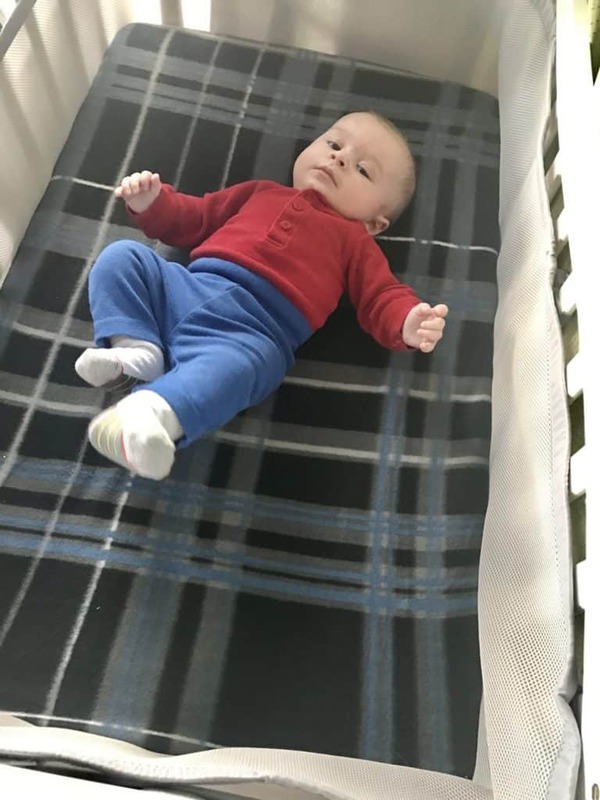 Baby will stay warm all winter with these fleece crib sheets. At $2.50 a pop, I need to make some more! Sadler loves his mini crib. At nearly 5 months old he weighs over 14 lbs. and still has plenty of room to grow in it. 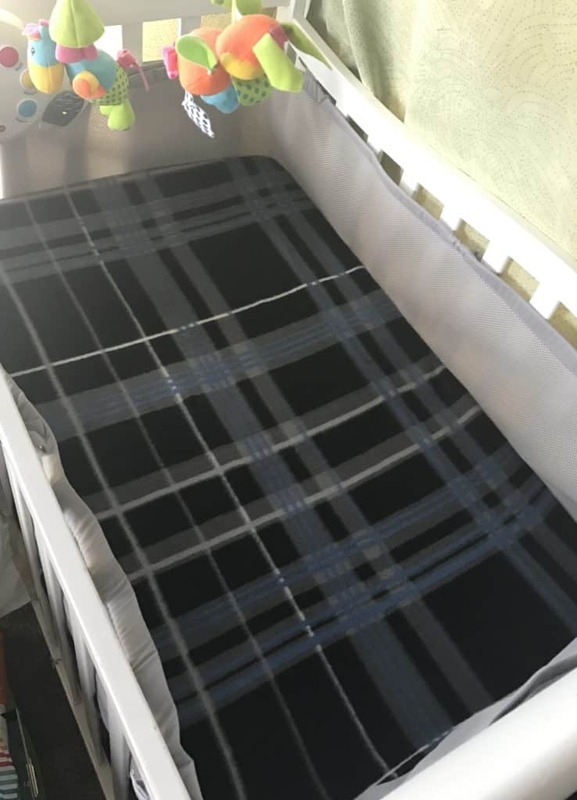 Fleece crib sheets make an awesome baby shower gift too. I guarantee the expecting mama won’t receive two of a kind or want to return it. I love this cute and practical idea! Well done! I agree great gift! Thank you! I would have loved for someone to give me handmade crib sheets. I wonder if this would work for a twin size bed? I’m sure I could get fleece or flannel (on sale) cheaper than buying flannel sheets. Especially since my daughters refuse to use a top sheet. I don’t see why not. 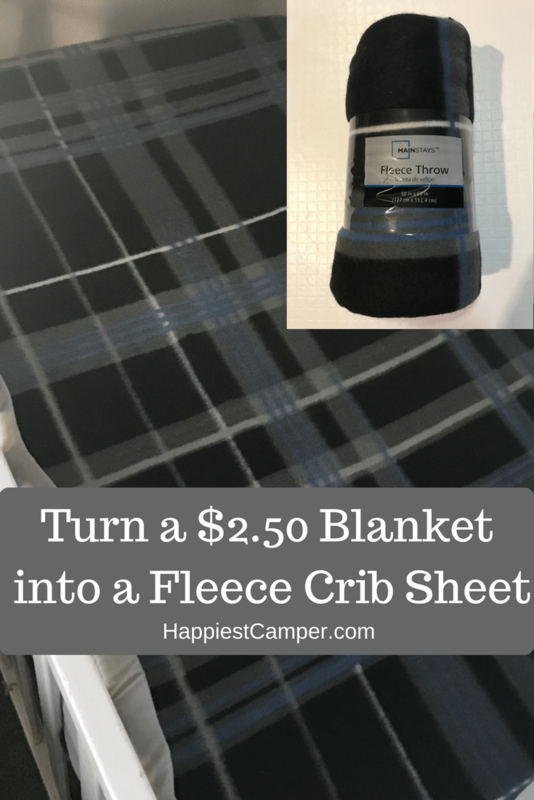 Measure a sheet you already have and recreate it in fleece. Now I want king size for my bed too!